Not too cool for school! Shawn Mendes may just be the kinder, gentler Justin Bieber. 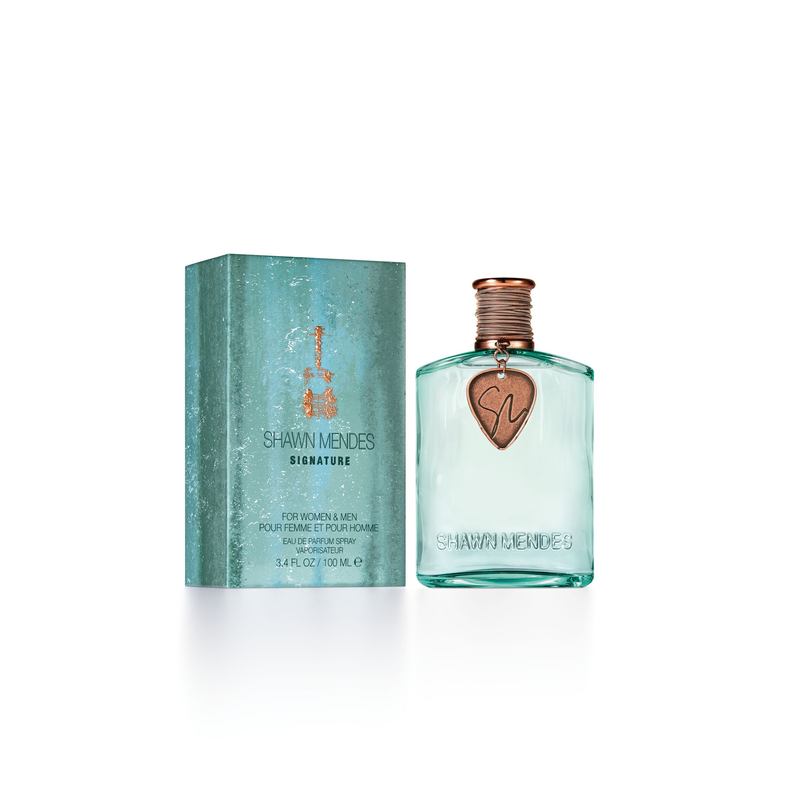 The Canadian pop star, 19, tells Us that his mother served as his main inspiration when he developed his first fragrance, Shawn Mendes Signature. 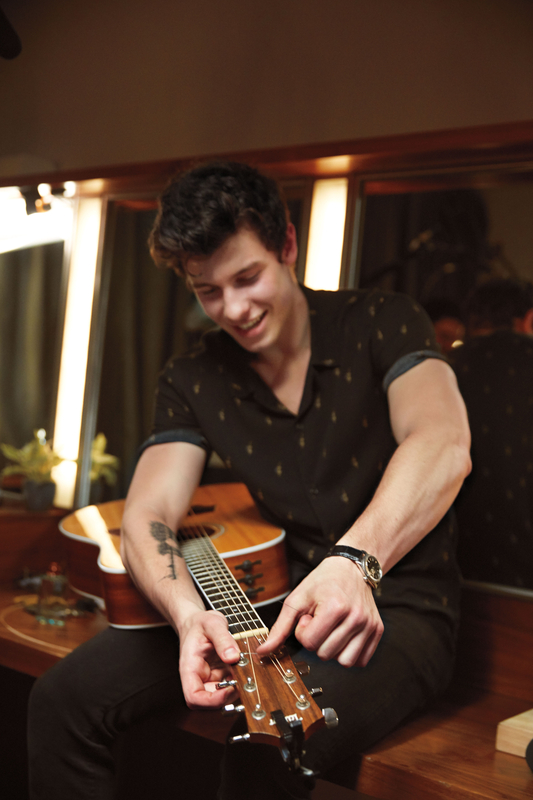 “My best scent memories are the scents of my home growing up – my mum cooking and being outside in the backyard.” It’s no wonder then, that the Treat You Better singer’s favorite notes in Signature are maple and apple. “They give the fragrance this Canadian forest, but also sweet, scent at the same time,” he says. Stylish: How is a scent like a song? Mendes: I’d say they both are somewhat a way to express yourself. When making this fragrance it was a really creative process. The packaging, very similar to album art, had to be just right. The scent itself had to be perfect and true to me. It was something I really needed to be perfect like my music. Stylish: When do you think people should wear fragrance? Mendes: I really think the best fragrances are ones you can wear every day. What I love about my fragrance Signature is that it’s subtle and great to wear for any person at any time. Stylish: What scent do you always wear? Mendes: Shawn Mendes Signature is great, and I’ve always had a go-to fragrance in the past, something I always make sure I have with me. Scents that are really natural and aren’t over-bearing have been what I’ve always gravitated towards. Stylish: What would your dream date smell like? Mendes: Haha I guess just good. Has to smell good is all. Stylish: Who were your favorite artists growing up? 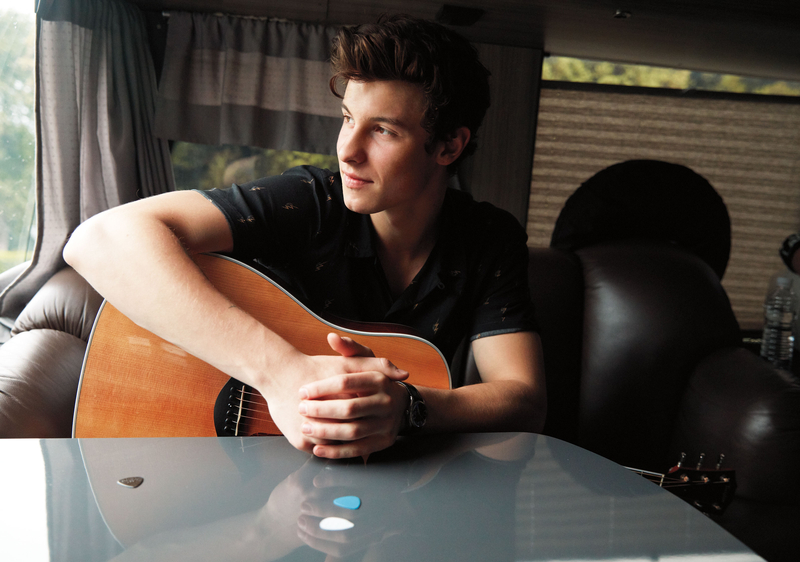 Mendes: Of course Ed Sheeran, John Mayer… I also always was a huge Bruno Mars fan. And just pop music fan in general. Stylish: Top 3 songs on your playlist right now? Stylish: Tell Us — who is your ultimate role model and why? Mendes: That’s a really tough one. I think as a musician and person, Justin Timberlake is someone I’ve always looked up to.